As we were staying in Sorrento, this was where we got the ferry to Capri. 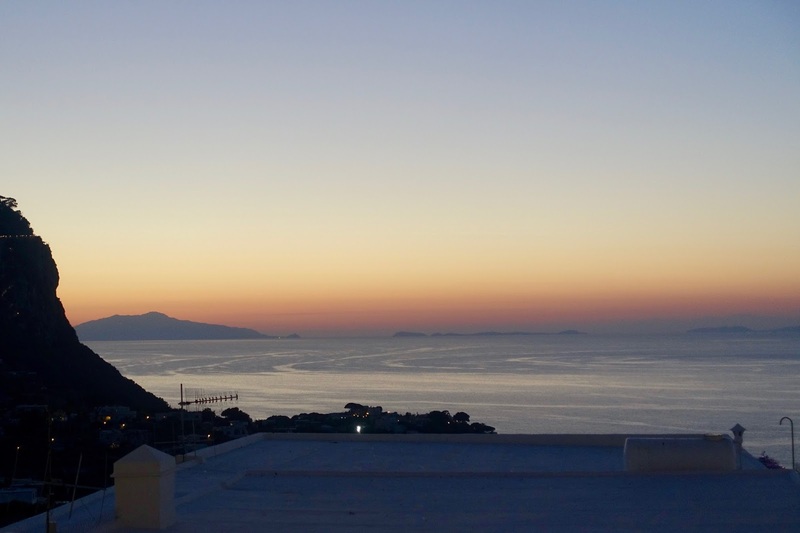 You can also get there from other towns including Positano, Napoli and Ischia. The ferry ride from Sorrento was 25 minutes so pretty quick. 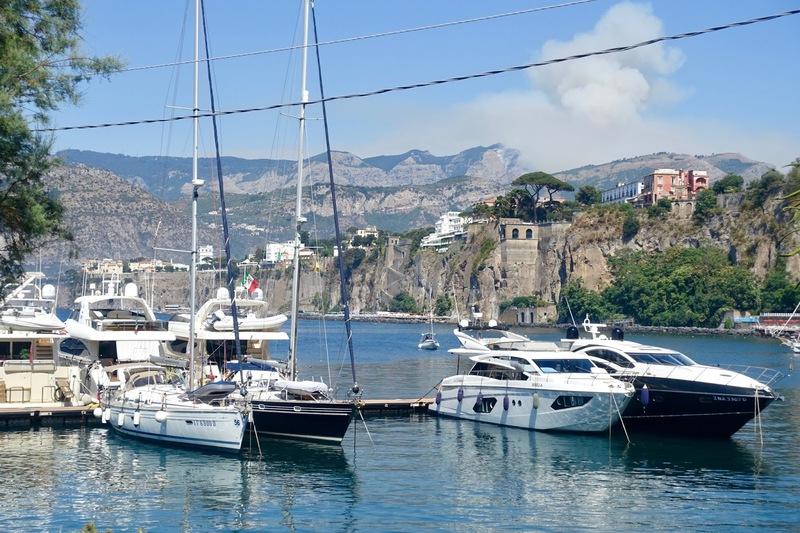 You can get your boat tickets in advance online or go to Marina Piccolo in Sorrento and get your tickets at the ticket office. In high season (July-August) the boats get filled up very quickly, so be sure to get them the day before! As we were doing the day and night tour, we would be getting a private boat back around 10pm. 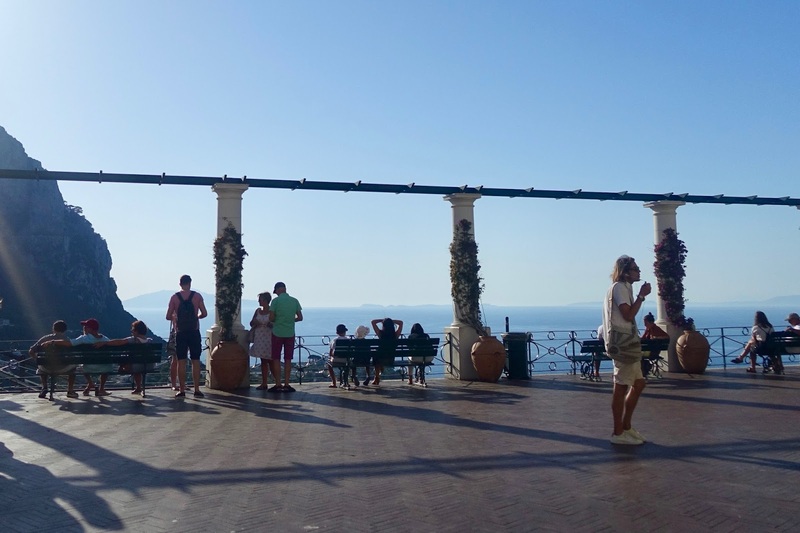 We don't usually travel with tour groups but this one worked out well, including hotel transfers, bus into the town of Capri and private boat back in the evening as ferries don't run this late in the evening. 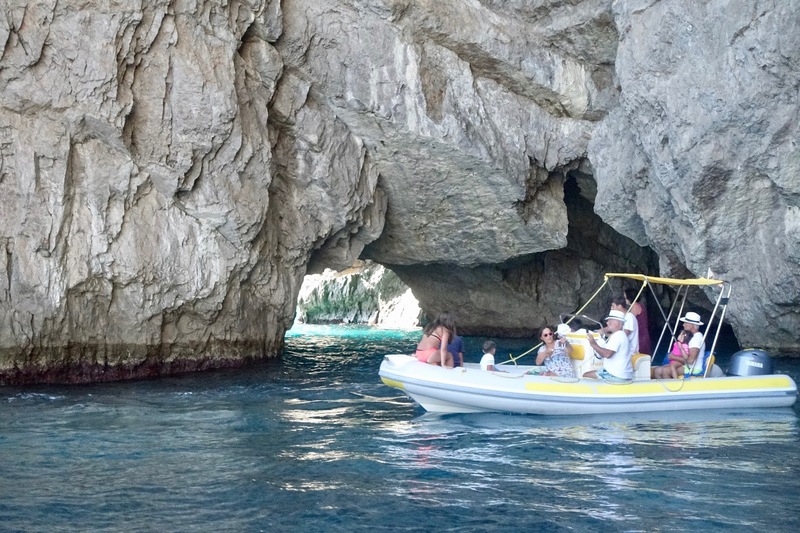 As part of the tour package, we got a private boat tour around the Island, so we could see the grottos and rock faces. 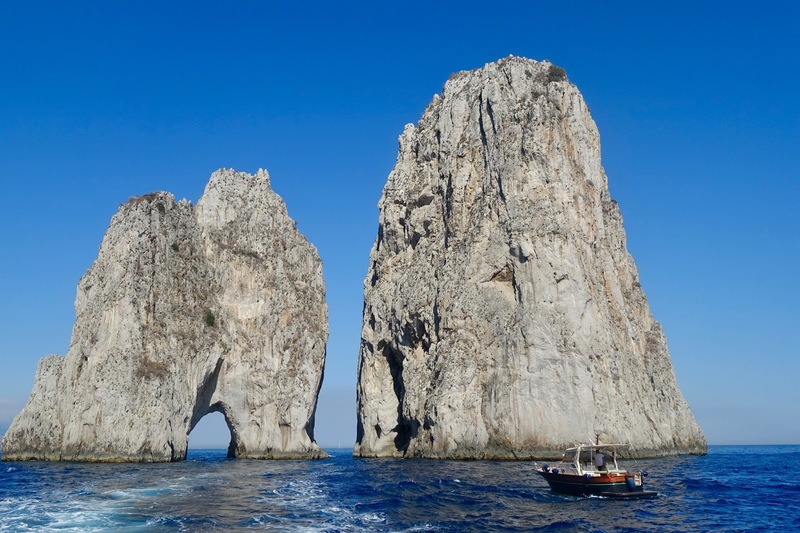 It was so nice to be in a smaller boat and sail around the island, going through the famous Faraglioni - also known as the kissing rocks. It was so cool to sail through the stone archway! 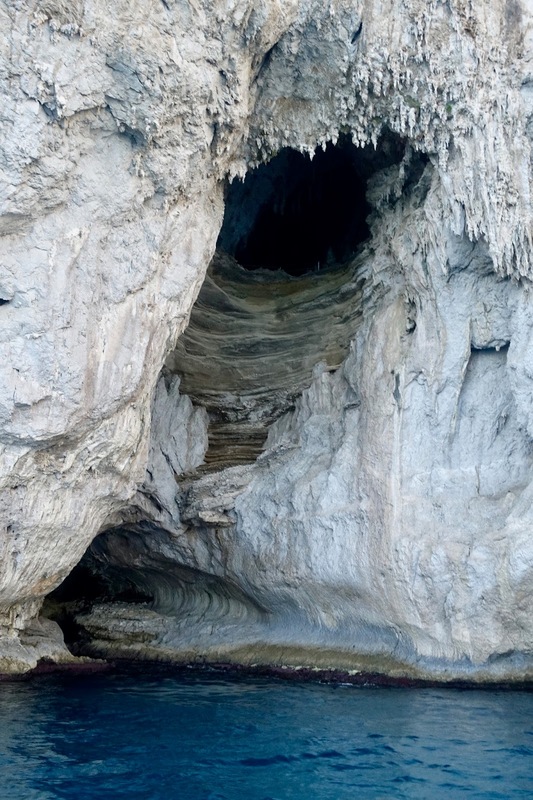 We also sailed up close to the Grotto Azzurra, the Blue Grotto of Capri. The water was sparking and so many beautiful shades of blues and greens. If you want to go through inside the grotto, you have to book a separate rowing boat as the entrance is really small and cost $14 to enter. When you arrive into the main marina of Capri, it's very busy and can be confusing to know where to go. You want to get one of the local taxis or buses to the main town. It's a short journey and you definitely don't want to walking up there in the heat! 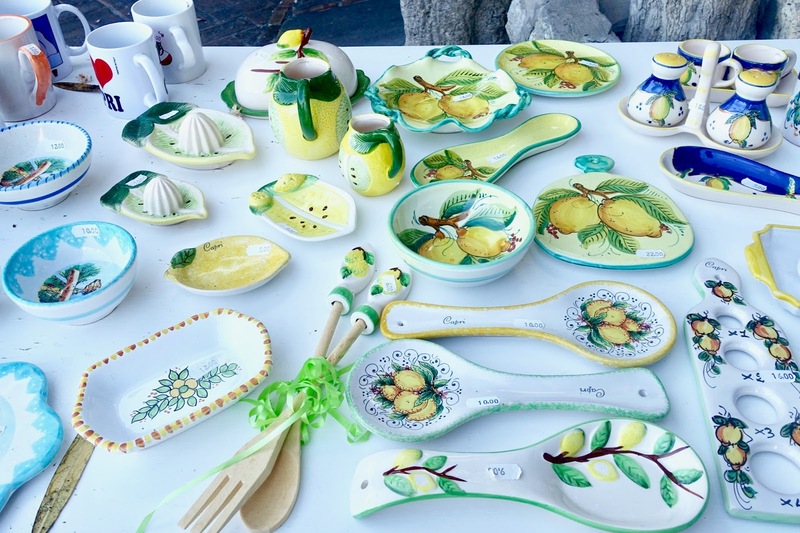 The main square is known as the Piazza Umberto and even though it's small, it had a great vibe with people sitting outside drinking, eating, soaking up the sights - be sure to try a limoncello. The streets are lined with restaurants, trinket shops and places to grab gelatos. 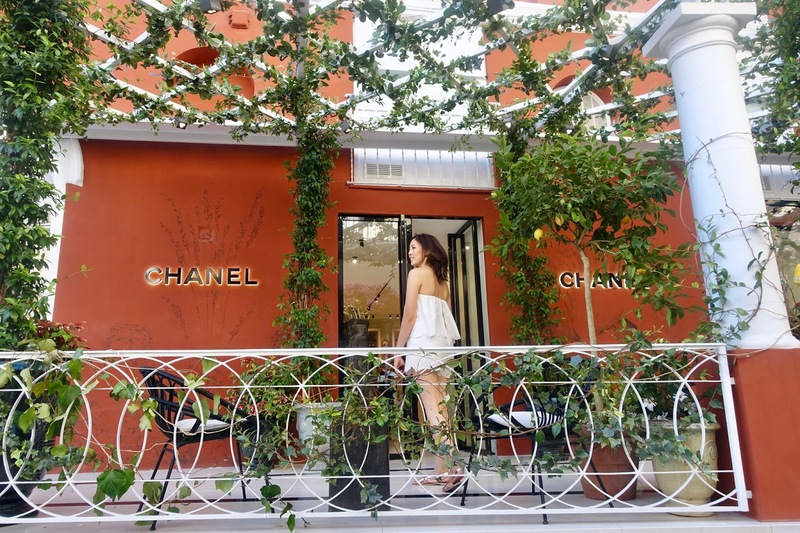 Go explore the pretty streets and get lost! 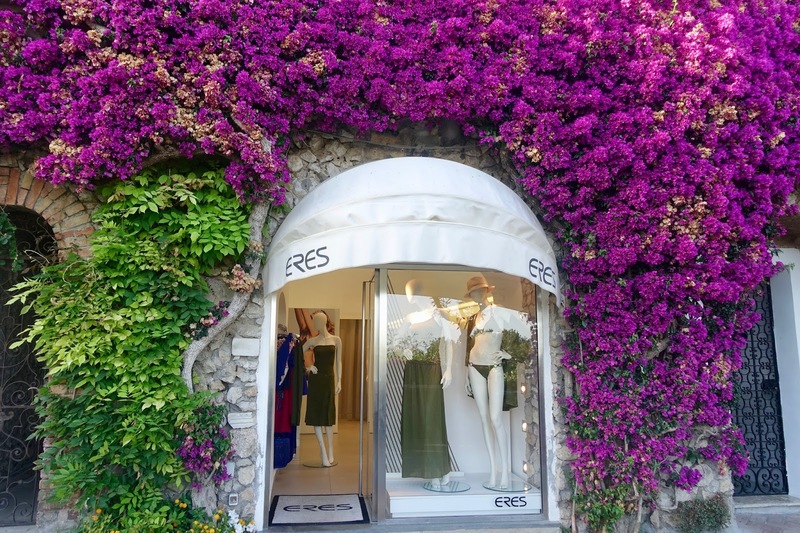 Capri is very upmarket and home to some of the most luxurious hotels and designer shops. 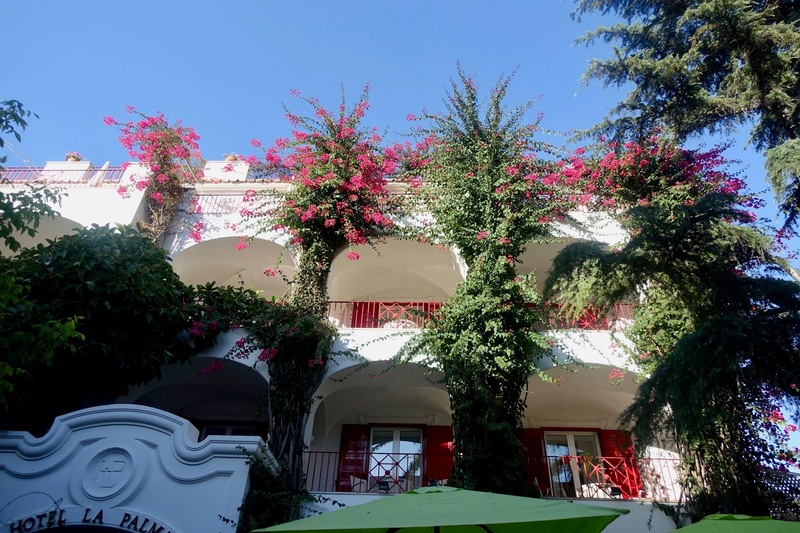 Once when arrived into Capri, we could tell it was very chic and and elegant and not tacky, even though it's very touristy. 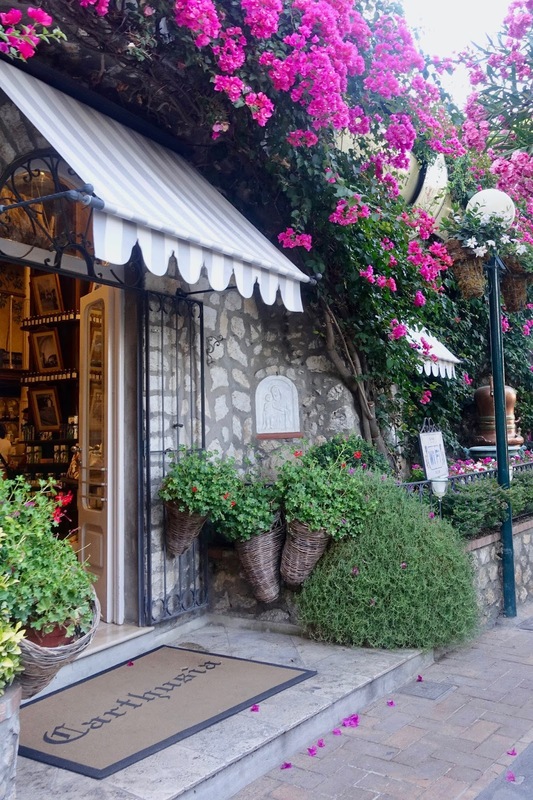 There are so many gorgeous shops and everything looks so good! 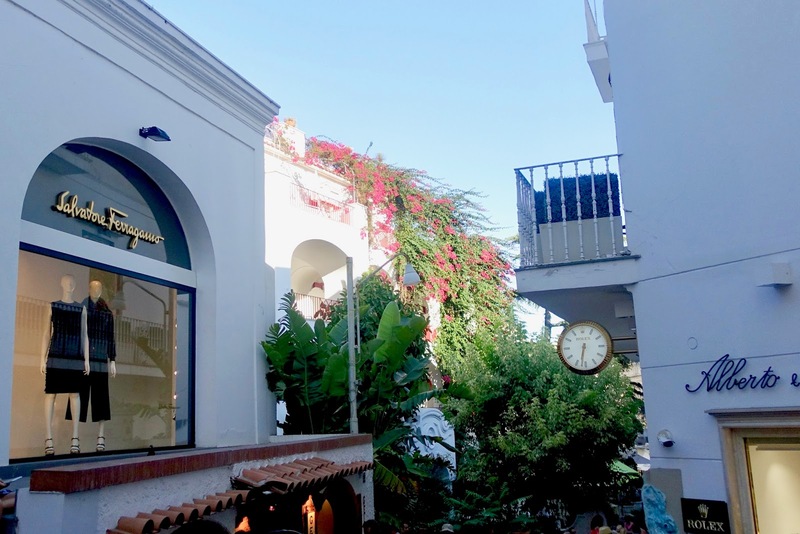 You're spoilt for choice with Gucci, Prada, Dior and so many more, so have fun window shopping or treat yourself :) There's also a gorgeous perfumery shop Carthusia, you have to pop into. It smelt amazing and the store is so pretty and if you want a summery Italian scent, this is the place to go! If you're there at sunset, take a seat and enjoy the view. The atmosphere in the evening was really relaxing and calm, not too crazy at all. Everyone is relaxing with a drink in the square and watching the world go buy. We got the boat in the evening and sat on the top deck to watch the stars, it wasn't that windy and was one of my favourite experiences. How often do you get a boat ride at night to see the stars right? 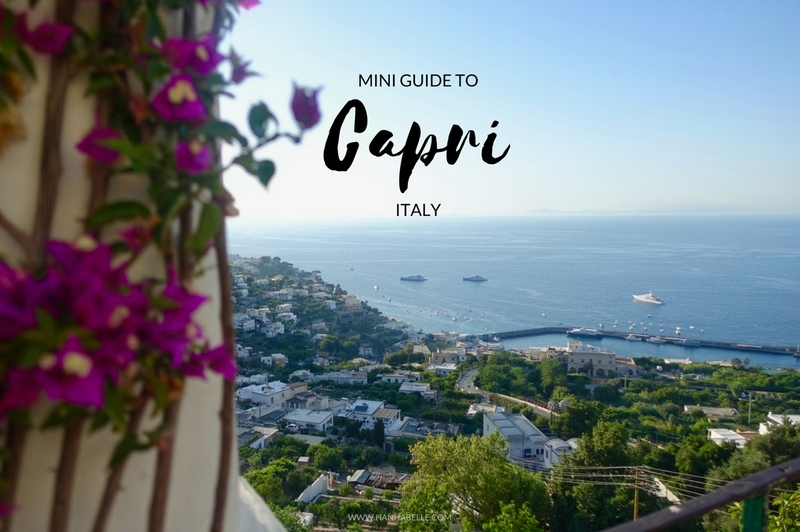 Capri is a gorgeous place to visit, different to other islands we've visited. I love seeing all the glamorous people come out at night, it felt like a different world - so many chic Italians! If you have time, you can also check out the Augustus Gardens. 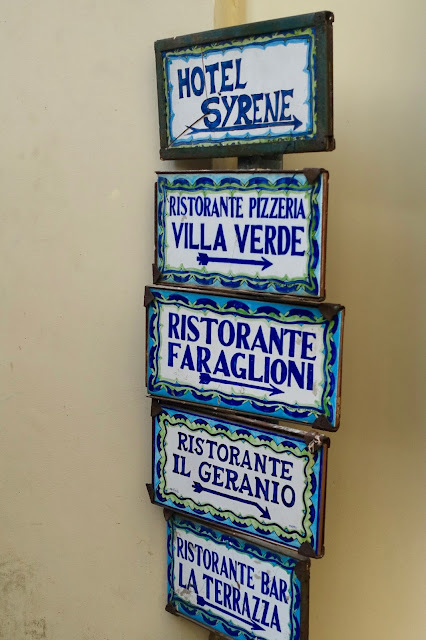 I hope you enjoyed seeing a slice of Italy in this post. 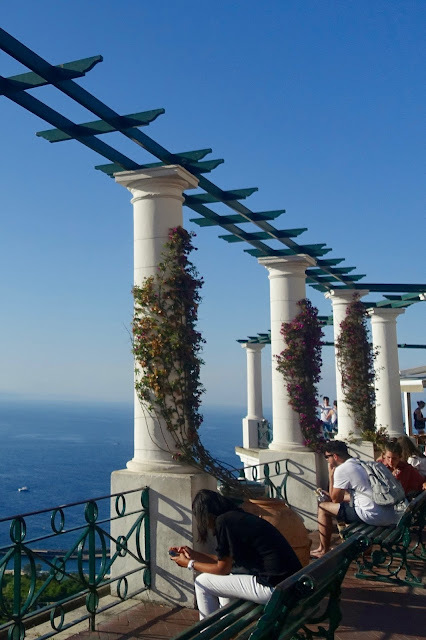 Stay tuned for more posts on Sorrento, Positano and Amalfi Coast. 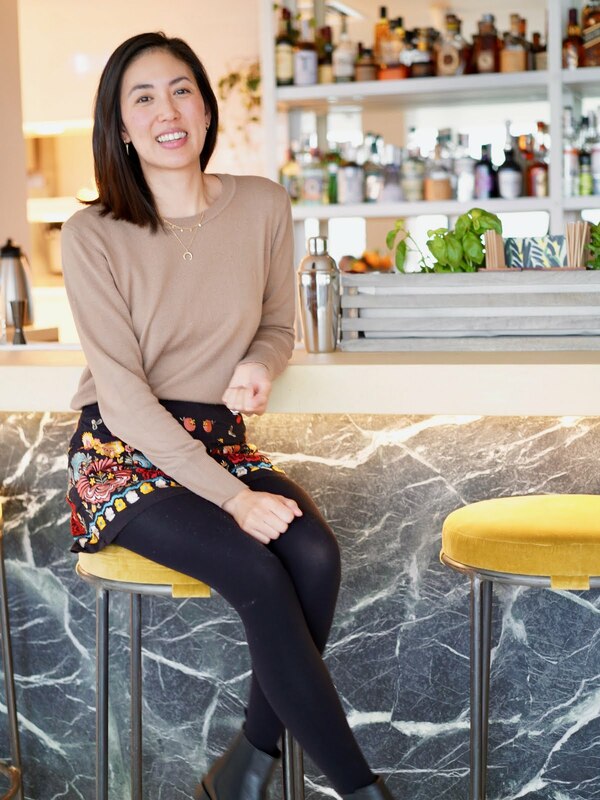 Have you been to Italy? I would love to know where your favourite part is! I've also put a vlog together if you want to watch below and don't forget to subscribe :) Hope you guys have a lovely week! 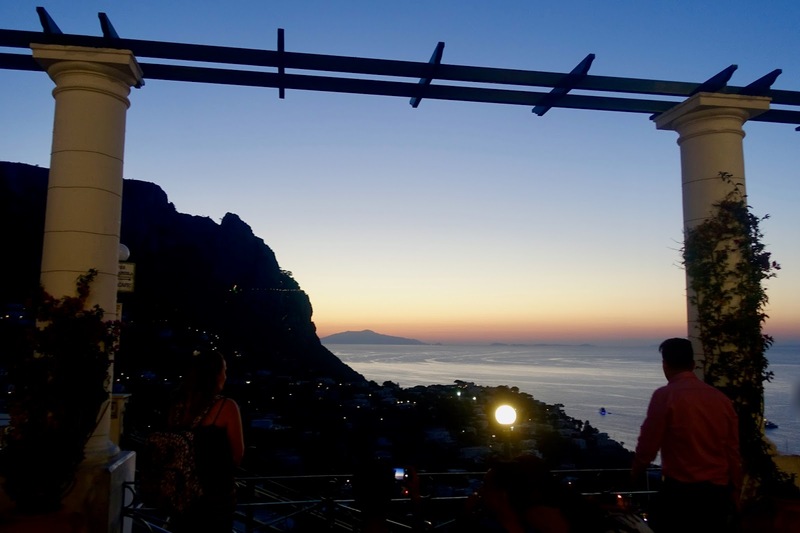 What do you think of Capri?